Good, great, now this is happening: the GOP plans to use its new majority in the Senate to try to pass a federal ban on abortion after 20 weeks. The idea, of course, is to inch ever-closer to overturning Roe v. Wade, because this is the party of small government and minimal interference into the private lives of American citizens. The Wall Street Journal reports that the GOP hopes they can finally pass a 20-week abortion ban, based on the bunk science that fetuses feel pain after 20 weeks. (Even if that were true, which credible scientists don't believe to be the case, it's not in itself a good argument for banning abortion, not that the anti-abortion crowd has ever let that stand in their way). The Pain Capable Unborn Child Protection Act passed the House in June of 2013, but had no chance in the Senate. Until now. 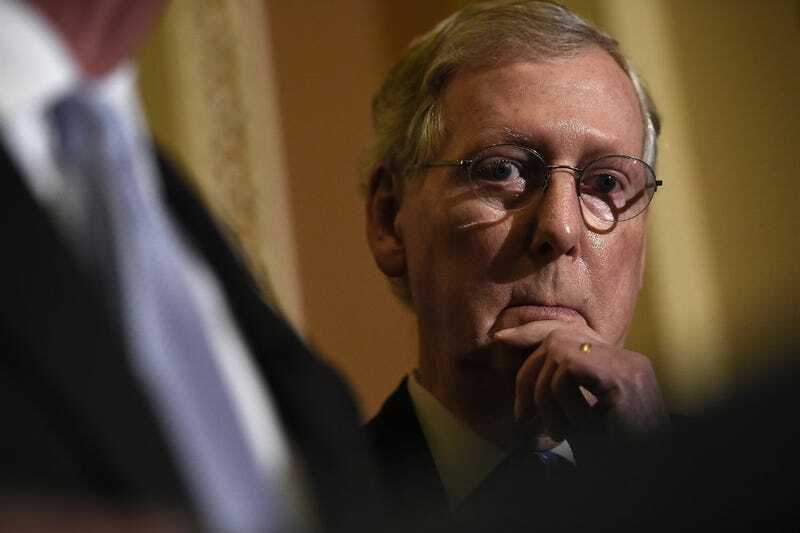 "There's no reason our constituents should be kept from having their voices heard on the issue in the Senate, as well," incoming Senate majority leader and leading Tortoise-American Mitch McConnell told the WSJ in a statement. "I look forward to having the Senate consider similar legislation in the next Congress." There's zero chance that President Obama would sign a 20-week ban if it made it to his desk. But with a veritable horror show of possible 2016 Republican presidential candidtaes arrayed before us, there, is frankly, good reason to start worrying.